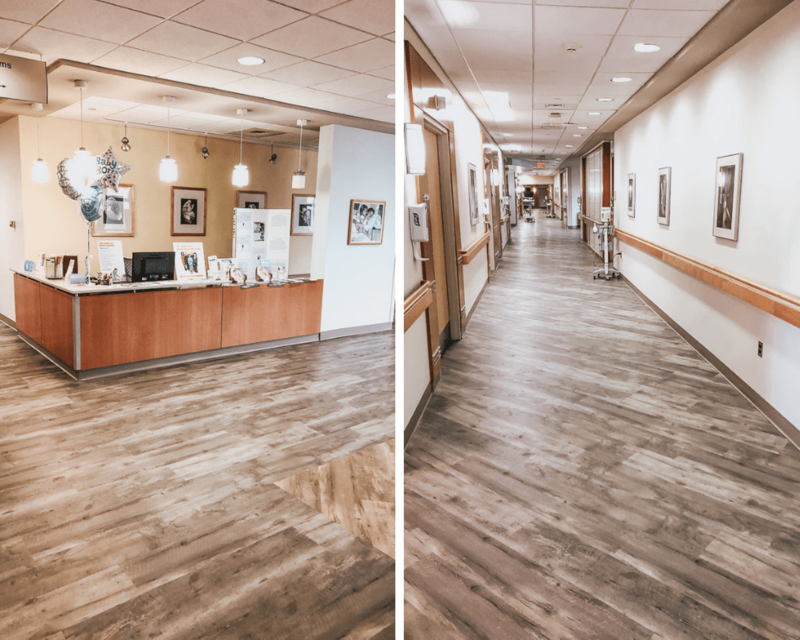 If you follow along on Instagram, you know that I’ve partnered with NJMOM and had the privilege to attend a tour of First Moments Maternity Services at Community Medical Center, an RWJBarnabas Health facility. It was my first time visiting their maternity ward so I was excited to see what they had to offer new and expecting moms, and their babies! Pregnancy, labor and delivery are such a special time in a mom’s life. 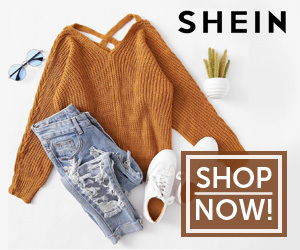 I wanted to be able to be able to share with you all the options Community Medical Center has to offer so that if you’re expecting or plan to be expecting soon, you have a resource to get you started! I was pleasantly surprised at how beautiful the entire hospital was and how many services they provide. The moment you walk in the building you’re greeted by friendly staff in a gorgeous main entrance! If I recall correctly, it was just remodeled this year and it definitely shows. The entrance is warm and welcoming, has a great little coffee shop/cafe (with great coffee btw), and a cute little gift shop. Up on the maternity floor you’ll find it to be super quiet and EXTRA clean. Everything looks (or is) brand new, and is really calming and super quiet! 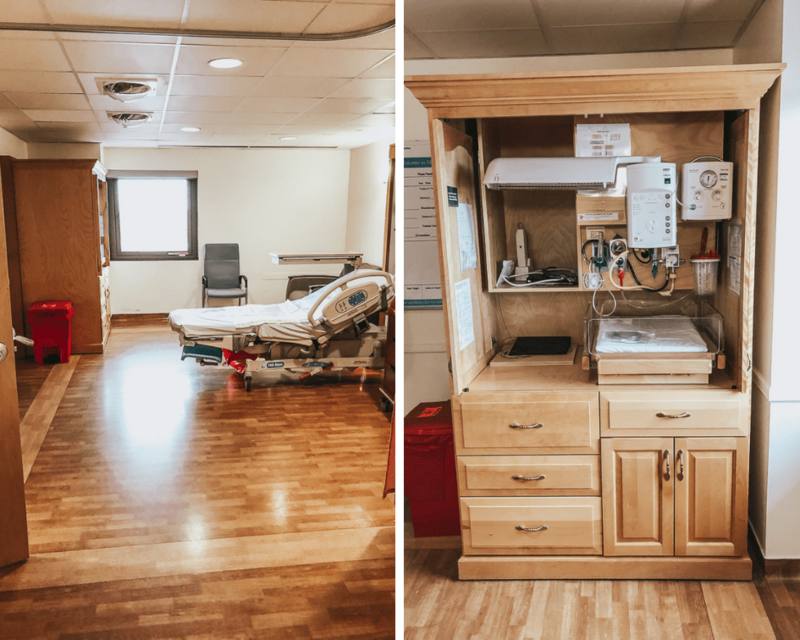 I got a chance to preview a labor and delivery room, as well as a post-delivery room. I couldn’t believe how big they were!! If you plan to have some family visit at the hospital or attend the delivery, you don’t have to worry about space. You can get an idea of the size of the rooms via the pics below. HUGE! The baby station in the room is organized with everything all in one place. I don’t know about you, but I get anxious when things are all over the place and unorganized, especially when I’m in a place that’s not my own. There’s also an oversized pull-out chair/couch for significant others/guests so if you plan to have someone stay the night with you, you don’t have to worry about where they’ll sleep. The nursery at the hospital is cozy with glass windows all around, including between the babies and staff. 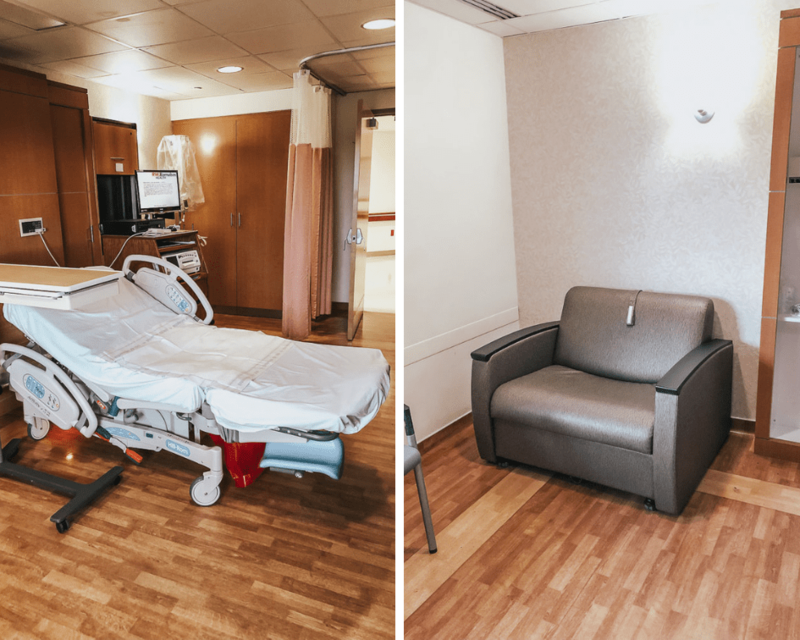 It’s a great setup for both parents and babies as you can walk past the nursery and check in on your little one whenever you’d like. 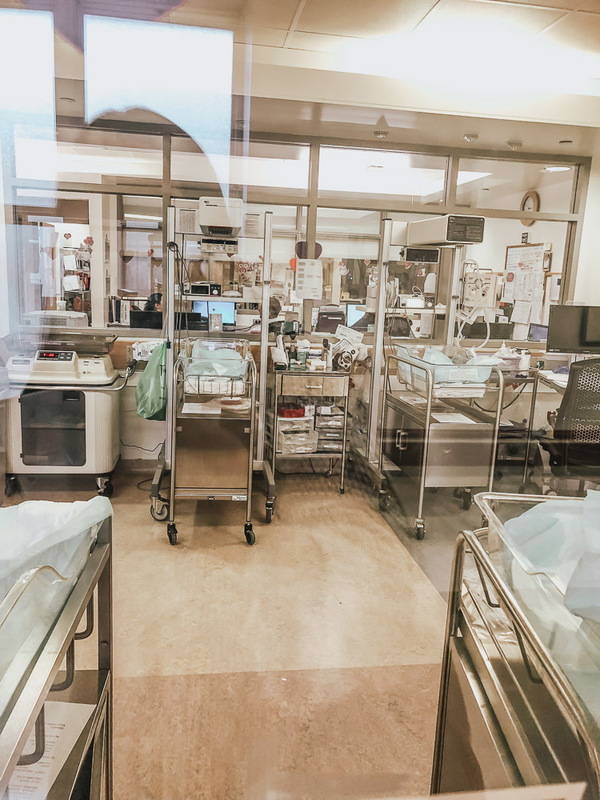 During the maternity ward tour I learned that the nursing staff in the Women’s Health Unit ranks in the 99th percentile on patient satisfaction surveys. To me, that says a lot about the experience you can expect here. I’m a firm believer that the nursing staff at any facility greatly impacts your personal experience. Labor and delivery is one of those times that you’ll never forget. Having a staff that cares so much about you AND your baby, and makes your time there extra memorable is SO important. The baby footprint wall is hands down one of the cutest ideas! 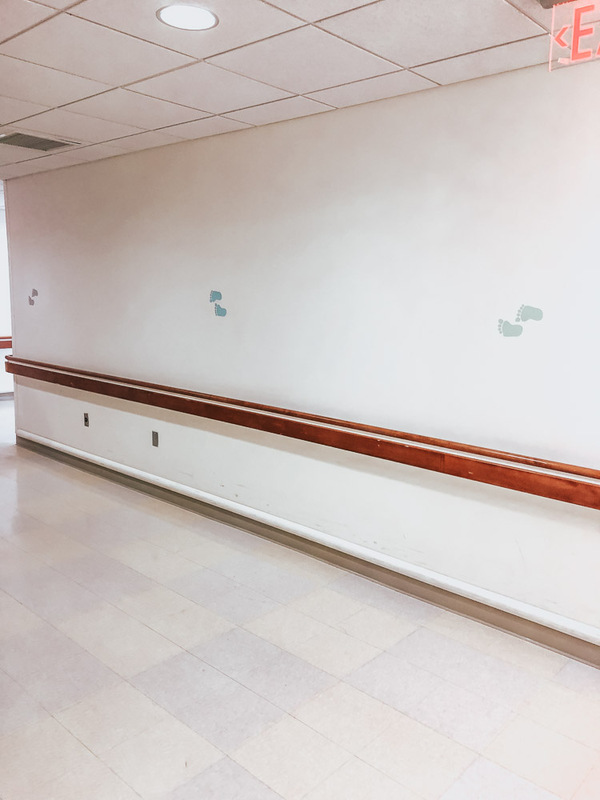 Instead of visitors having to constantly ask for directions, all they have to do is follow the footprints on the wall, which lead directly to the nursery. Adorable! 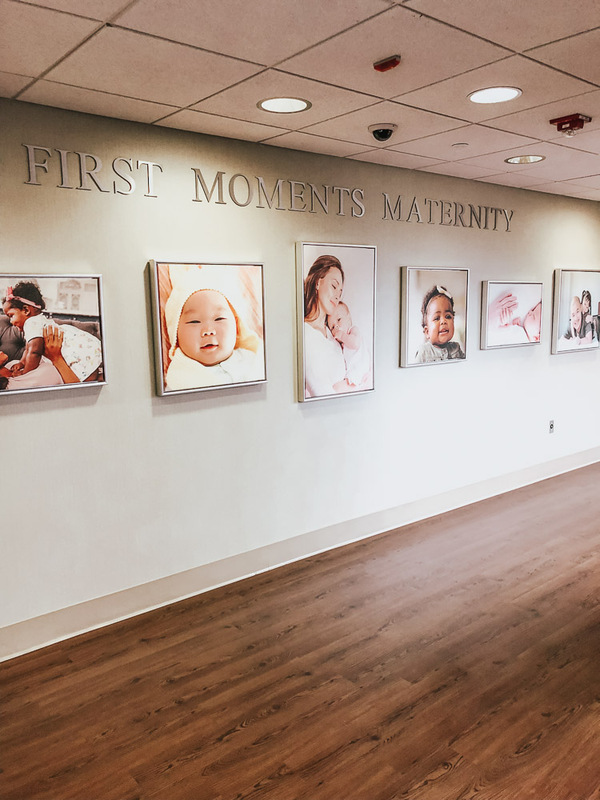 Something else that’s really special about First Moments Maternity Services at Community Medical Center is that they partner with a great photographer! I personally had experience with this photographer when we had our third baby, and I couldn’t have been happier with our experience and quality of work. (You can read about and see some photos from our session here). Those special moments don’t last long so being able to conveniently capture them was really important to me. 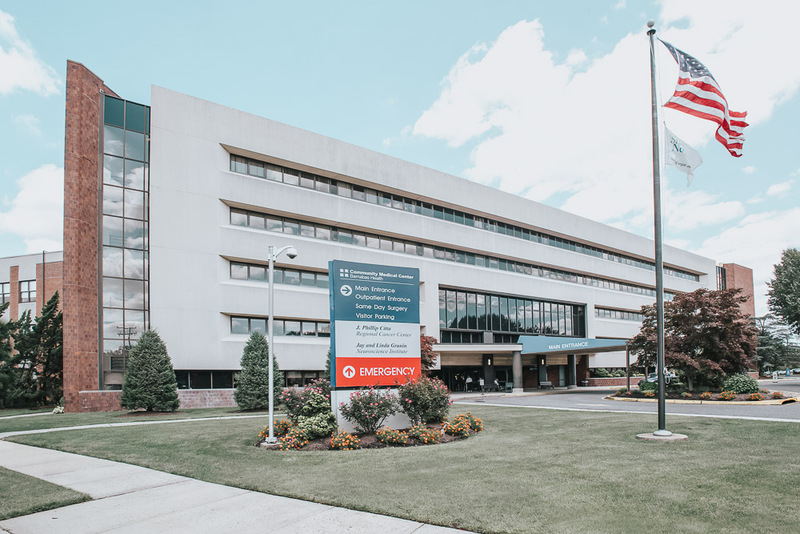 If you have any questions about the maternity ward or services offered, feel free to reach out to me via email at fitmommyinheels@yahoo.com or contact the Community Medical Center directly to arrange a tour at 732-557-8034. 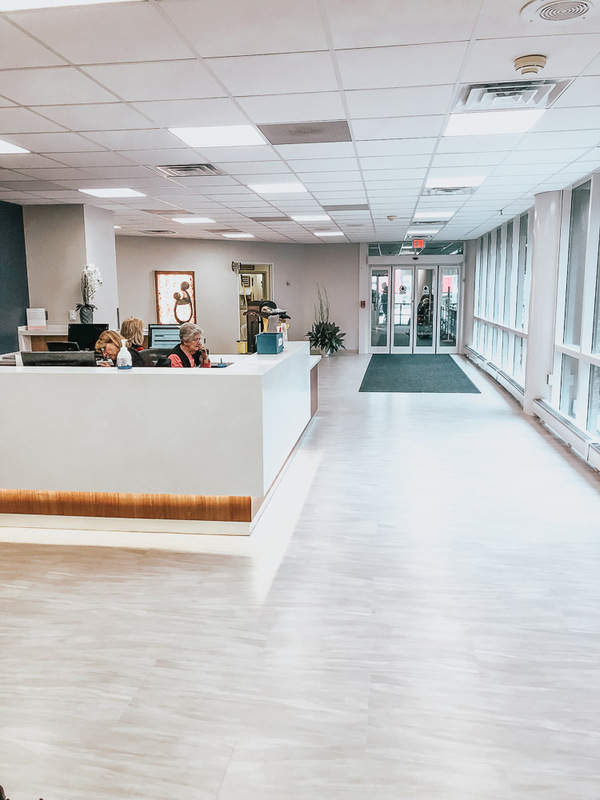 Click here to learn more about Community Medical Center. Thank you NJMOM & RWJ Barnabas Health for sponsoring this post!